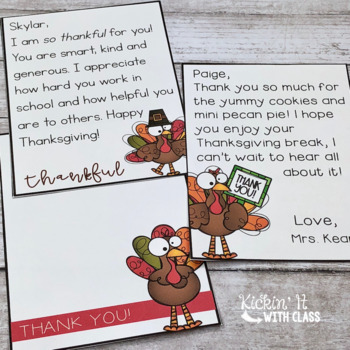 This is a set of editable thank you notes with an adorable Thanksgiving turkey theme! Make writing quick thank you notes a breeze with this easy to use set! Click Here to purchase my BUNDLED SET of Editable Thank You Notes. By purchasing as a BUNDLE, you will receive One FREE set and a discount of over 50%!!! You will need powerpoint to open and edit the file. 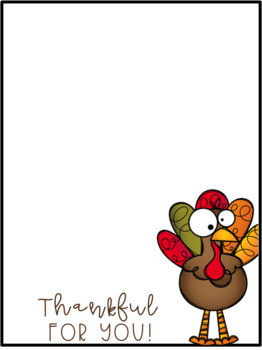 If you would prefer to hand write your thank you notes, you can print a blank copy from the PDF. Please note, you will not be able to edit the background, frame, graphic or words "thank you", you will just be able to add your own text.